When: Tuesday, April 3, 2007 at 11:30 a.m. 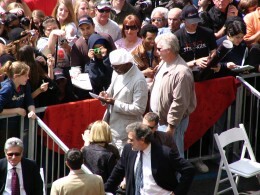 This was the first ceremony we watched from overhead, on a balcony at the Hollywood/Highland Center. 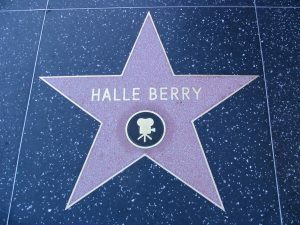 That’s partly because the crowds were very heavy for Ms. Berry, and partly because you get a better view up there, though not quite as good in the close-ups. 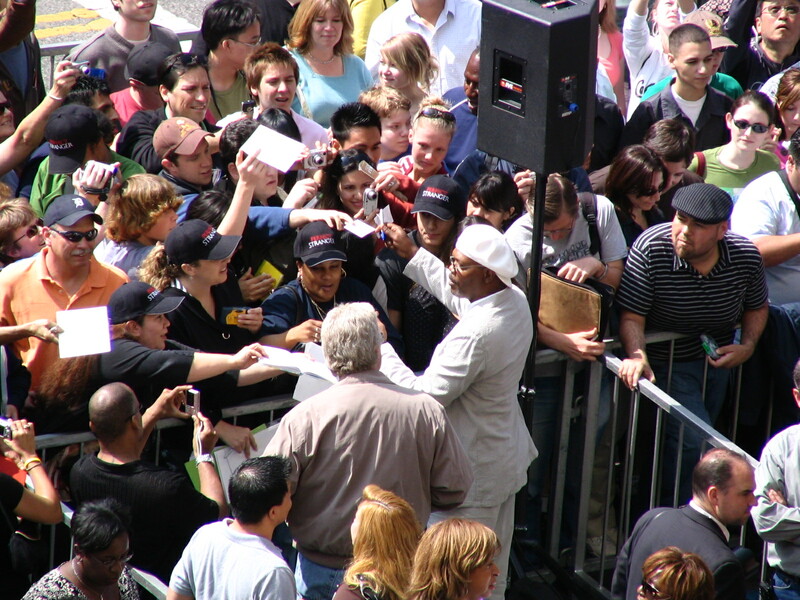 Samuel L Jackson was there before Halle arrived, working the crowd, signing autographs, talking to people across the barriers. That’s the first time we’d seen that. So far, all the other celebrities are interested only in their own parties, and the rest of us are there only to supply the cameras and the applause. 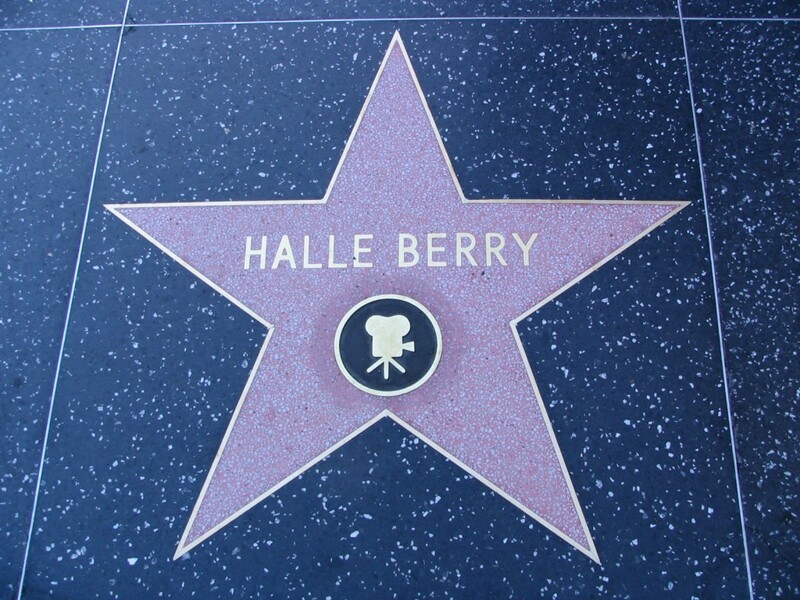 Halle Berry, when she arrived, was stunning in a black dress, and seemed genuinely moved by it all.